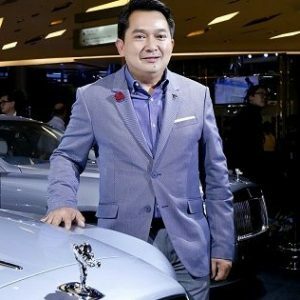 Bangkok (Thailand) – August 7, 2018 (travelindex.com) – Early 2018 marked an important milestone for Rolls-Royce Motor Cars as this world-renowned, super-luxury car maker rolled out several special models including Rolls-Royce Wraith Luminary, Dawn Inspired by Fashion, Wraith and Dawn Adamas Collection, and, most notably the 8th generation of Rolls-Royce Phantom (or New Phantom) – the move that has taken the super luxury car market by storm. This success story fundamentally requires a perfect combination of meticulous artistic work and state-of-the-art automotive technologies that imparts modern luxury and elegance, while ensuring as exceptional driving experience as riding a magic carpet. With its increasing sales growth worldwide, combined with a series of new models being rolled out to cater to diversified customers’ needs and lifestyles, this represents a positive sign indicating that more and more people have become interested in purchasing and experiencing Rolls-Royce motor cars. However, as Rolls-Royce motor cars belong to an ultra-luxury segment with relatively high price tags, some potential customers are still reluctant to make a move to buy one. A number of Rolls-Royce motor cars to receive special benefits under the Provenance Program which can be acquired through an instalment down payment program made possible by a special financial arrangement that will enable the potential customers to purchase Rolls-Royce motor cars still covered by warranty are very limited. Or alternatively take advantage of the Service Inclusive Package for Rolls-Royce motor cars of which a warranty period has expired. Terms and Conditions apply and are subject to change made by the company at the Big Motor Sale 2018 at BITEC, which will run from August 17-26, 2018.